Imagine: Awakening to the sound of birds and the ocean breeze billowing your curtains. You open your eyes and marvel at the meticulous thatching of the roof in your ocean front bungalow. Step outside and see a few other early risers taking in the spectacular sunrise. Settle into a comfy chair under your thatch awning, where your coffee and juice is brought for you to enjoy your moment.Your day belongs to you. The staff is eager to do whatever will make your day perfect. 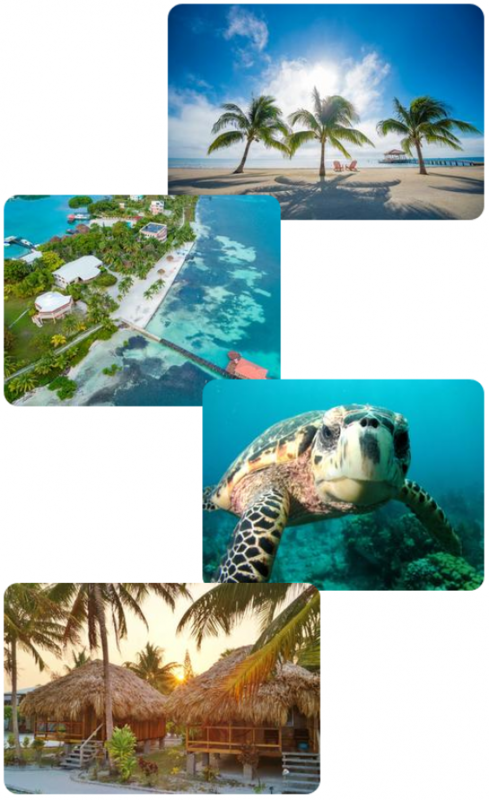 7 Nights in St George Caye Resort! *Pricing is per person, based on double occupancy, four people to a two room cabana and is subject to change. Package does include $35 marine park fee. We recommend our payment system to avoid late charges. The trip must be paid in full sixty days before departure, March 1, 2019, or a $100 surcharge will be placed.